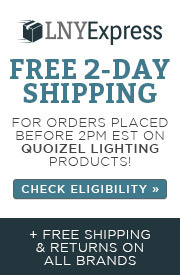 Q Can you use LED bulbs in this lamp? 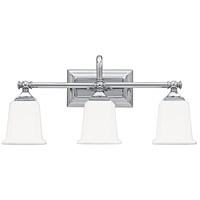 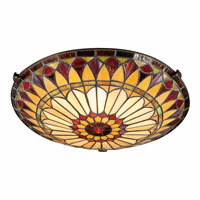 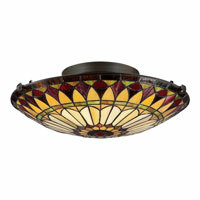 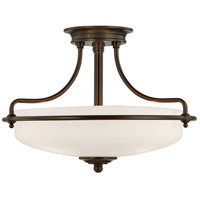 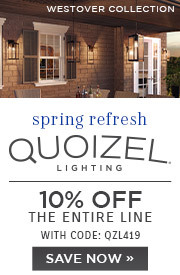 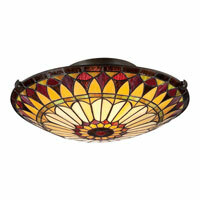 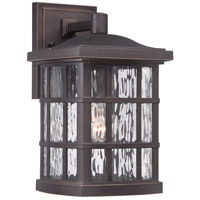 A The Quoizel Tiffany 2 Light Flush Mount TF1400SVB can use medium based LED or CFL bulbs. 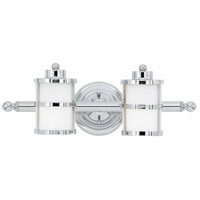 Q What is the diameter of the mount and what is the diameter of the globe? 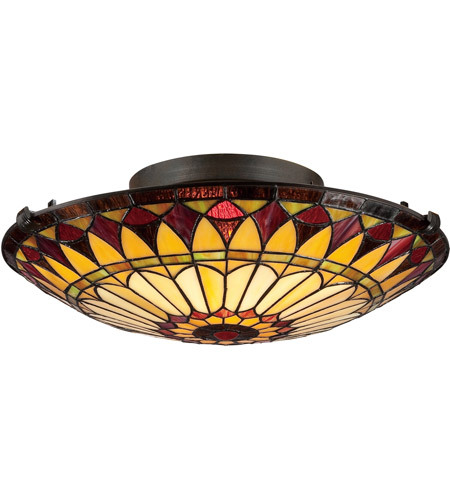 A Unfortunately, the Quoizel Tiffany 2 Light Flush Mount TF1400SVB ceiling mount diameter is not listed in the specifications. 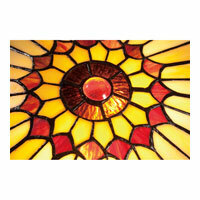 The diameter of the globe itself is 16". 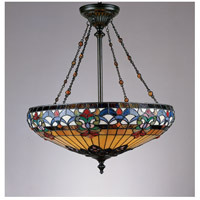 With the clips that hold the glass the total diameter is 17". 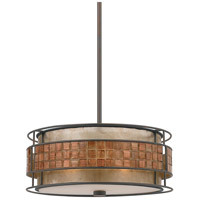 Here is a link to the Installation Instructions with diagrams and dimensions.